This is a beautiful program that proves how incredibly powerful these connections can be when taken full force by both teachers and students! 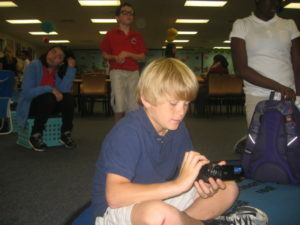 In 2014, a connection was formed between 4th and 5th grade students at The International School Nido De Aguilas in Santiago, Chile and 4th and 5th grade students at Wilton Manors Elementary in Fort Lauderdale, Florida. Students in Florida followed the primary CCC connection process, researching about Chile, writing letters, and sending videos. 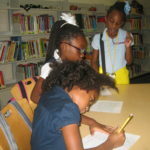 Students began by drafting their letters on paper, peer editing, and then drafting them on the computer. Furthermore, students created videos about their school and shared them with the students in Chile. The teachers and students in Chile responded quickly and fondly however, they also decided to take the connection project one step further. The 4th and 5th grade students in Chile created a club called Global Rescuers. In this club, students focused on raising awareness in major issues in Chile. The topic they decided to focus on for this project was child abuse. Students researched and created Prezi’s regarding the facts and information they collected regarding this subject. One fact they discovered was that over 75 percent of children were abused in 2006. After learning this, they decided to take action and help a local school. The students in Nido decided to reach out to a boarding school in the nearby area called, Casa Hogar De Francisco De Regis. This school houses thirty-one girls, ages five to fifteen, who have been removed from abusive families. After visiting, the students in Nido decided that they wanted to help improve the living conditions at the school. They also wanted to have a party with the girls. The Global Rescuers created a video to share with their connecting school in Florida. In this video, the students in Nido raised awareness regarding the poor living conditions inside the boarding school, Casa Hogar De Francisco De Regis. They then asked for assistance to raise money for their ideas. Not only did they ask, they also came up with ideas to raise the funds. Between the collaboration the students in Nido and Wilton Manors elementary, they were able to make these goals possible for the girls at Casa Hogar De Francisco De Regis.